At the moment HBM memory is actually just *barely* competitive with GDDR5. Sure it has a lot more pins, but those pins run at only 1/5th the bit-rate as the pins on a GDDR5 chip. The real advantage of HBM is that it has headroom to grow. 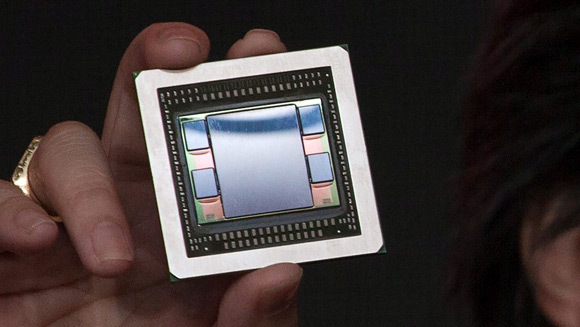 The latest 8gbit/sec/pin GDDR5 chips are basically the end of the line. But they’re being manufactured on such a huge scale and all the bugs/quirks have been ironed out so the tech is incredibly cheap. So we’re seeing HBM appear today not because it offers any advantage, but because it has finally just barely caught up to GDDR5. In a year or two it will take the lead, but as of today it’s not such a big deal. HBM offers no advantage when it comes to mining. Some GPU algorithms could possibly run with no performance loss on a 64 bit bus! While there’s no such thing as “a bit wider bus”(at best you can clock ram a bit higher), there’s some chance transitioning to an improved process node might result in decreased consumption. For everything that is bandwidth-bound, HBM is basically a boon. No idea what the above user is referring to. I agree with the state of AMD miners. I have tried to spark some interest but after over one year after release nobody ever cared about tweaking the kernels I published or even porting them to big cards but since the 300 will be mostly rebrand perhaps I’ll find time to tweak some algorithms at last. It seems to me sgminer is being maintained mostly as a “freemium” software.